We visited the Hotel Elba Lanzarote Royal Village Resort in Playa Blanca in April 2017 for a tour of this hotel, so that we can recommend their facilities with a personal insight to our holiday clients. The 4* Hotel Elba Lanzarote has 91 bungalows spread out within their grounds and the resort is divided into two areas catering for families as well as adult only (16 years upwards). Set back from the centre of the Playa Banca holiday resort, the town and beach is an 8 minute walk away. The hotel also offer a shuttle bus service to the popular beach of Playa Dorada. Elba Premium Suites guests have access to an adults only 25m pool which includes Los Jameos Snack & Pool Bar. We particularly liked the sun beds located in the shallows of the pool, which looked very relaxing. El Mirador Restaurant Bar & Chill Out is part of the adult only area, situated by reception and open for breakfast and again at 6pm. Buffet lunches are served in the Yaiza Restaurant, which is open to families too. There are 58 bungalows situated in the family area known as the Elba Lanzarote Royal Village Resort. There are 4 swimming pools situated in the centre of the hotel’s grounds all of which are heated in winter. The pools are linked by an island in a César Manrique style with fresh water lagoons and salt water pools. Pepeland caters for the younger guests with daily activities organised at their Miniclub (4-7 years) and Maxiclub (8-12 years) which is open 10:30 to 13:00 & 15:00 to 17:30. The Teeniclub is a communal space within the hotel reception area to encourage 13-18 years old to make new friends. Apart from the Yaiza buffet restaurant, all guests have access to La Nonna Italian Restaurant, La Brasserie Bar & Restaurant and La Boheme Bar with a show theatre for evening entertainment. La Brasserie Bar serves French cuisine in the evenings. For the more energetic guests there is a selection of sports activities available on site including archery, tennis, football, basketball, beach volleyball and pétanque. If booking “Confort” accommodation 1 entry per person is included to the Thalasso Spa, otherwise entry is €15 and open to guests aged over 16 years old. The gym is free to use and has a selection of the latest equipment available for a workout. The hotel also offer a hospitality room with showers, so that guests can make full use of the facilities after check out, whilst waiting for their airport transfer. 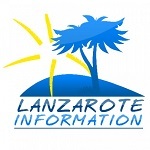 Hotel Elba Lanzarote offer half board or all inclusive accommodation. The Yaiza buffet restaurant has themed nights 4 times a week. All Inclusive guests dining at the Yaiza buffet restaurant are served breakfast (08.00 to 10.30), lunch ( 13.00 to 15.00) and dinner buffet (18.30 to 22.00). Drinks are served at the Pool Bar (10:00 to 18:00) and La Boheme Lobby Bar (18:00 to midnight). A continental breakfast (10:30 to 12:30), coffee, cakes and aperitifs are served at La Brasserie during the day. Guests staying 7 nights on either board are invited to enjoy 1 dinner at one of the a la carte restaurants. If staying “Deluxe” 2 á la carte dinners are included for stays of 7 nights. Beach wear is not allowed in the restaurants after 18:00. Gentlemen are requested to wear long trousers and shirts with sleeves during dinner service. The standard accommodation provided at the Hotel Elba Lanzarote is the Junior Suite which has an open modern design. Maximum occupancy: 2 adults + 1 child or 3 adults + 1 cot. Each room includes a ceiling fan, full length mirror, direct dial telephone, Wi-Fi, air conditioning and heating, minibar (payable locally), tea and coffee making facilities, LED satellite TV, safety deposit box (payable locally), desk and a full en-suite bathroom with a large shower or bath, hairdryer, bathroom scale and make up mirror. The Junior Suite “confort” is the same accommodation as above, but also includes a bath robe, slippers, Elba toiletries, 1 entrance to the spa per person per stay, 10% discount on spa treatments, free drinking water, Nespresso coffee machine, pillow menu, bell boy service, free parking and late check out (if available). Suite Confort (separate living room and bedroom area) – Maximum occupancy: 2 adults + 2 children or 3 adults + 1 cot. We were impressed with the Hotel Elba Lanzarote, this hotel is catering for 2 distinct types of client. Whilst not an exclusively adult only hotel, there is enough to entice couples for a romantic break without children. For families there’s plenty of activities and facilities to keep the whole family entertained. The typical low rise Lanzarote accommodation style has not been lost during the refurbishment, the bungalows are set in mature gardens with modern and comfortable interiors. 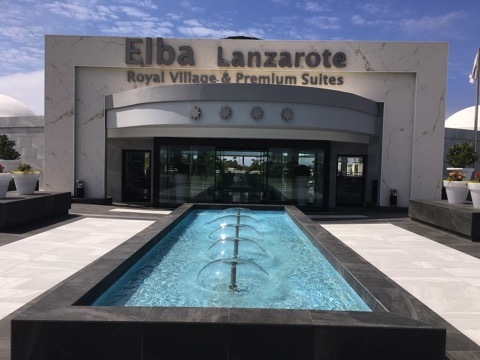 This is the first Elba Hotel in Lanzarote, which opened in December 2016. Please send us a travel enquiry if you’d like a personal quote to stay at this hotel.